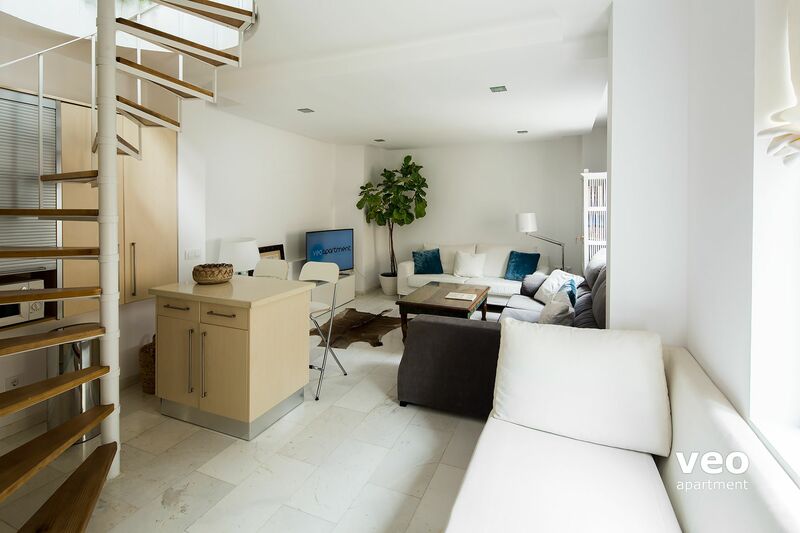 Top-floor apartment with 2-bedrooms and a large private terrace. 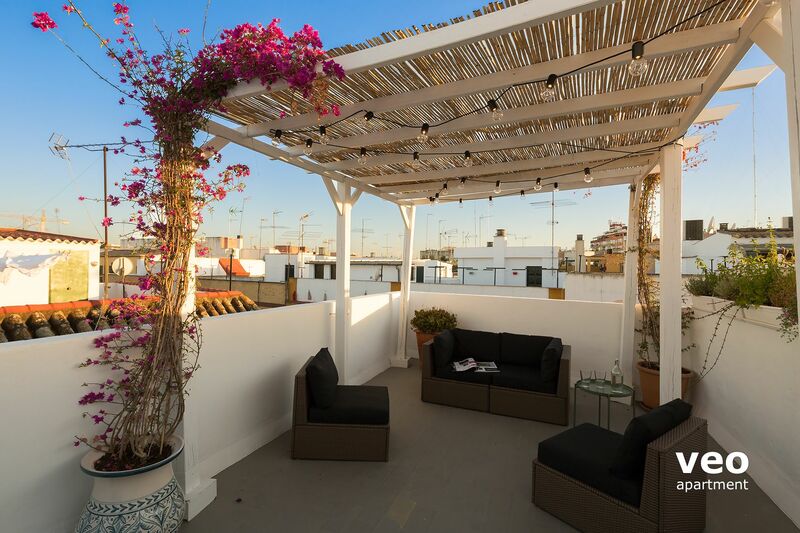 It is located in the Triana neighbourhood on calle Alfarería, near the vibrant Betis street and the Guadalquivir river. The centre is a 15 minute walk away. Suitable for up to 3 people. The owner has decorated the apartment with great attention to detail. Contemporary style furniture, original artwork, indoor plants and marble flooring. 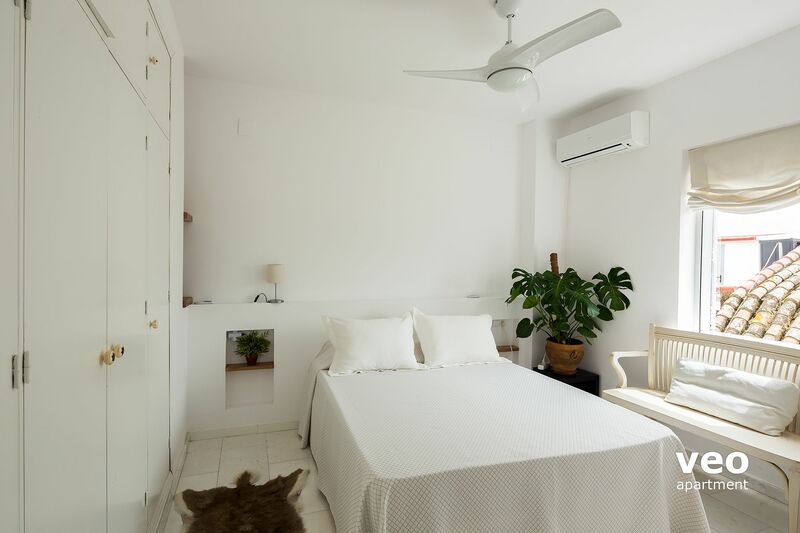 Air-conditioning with cooling and heating, cable TV, stereo and free WIFI internet access. 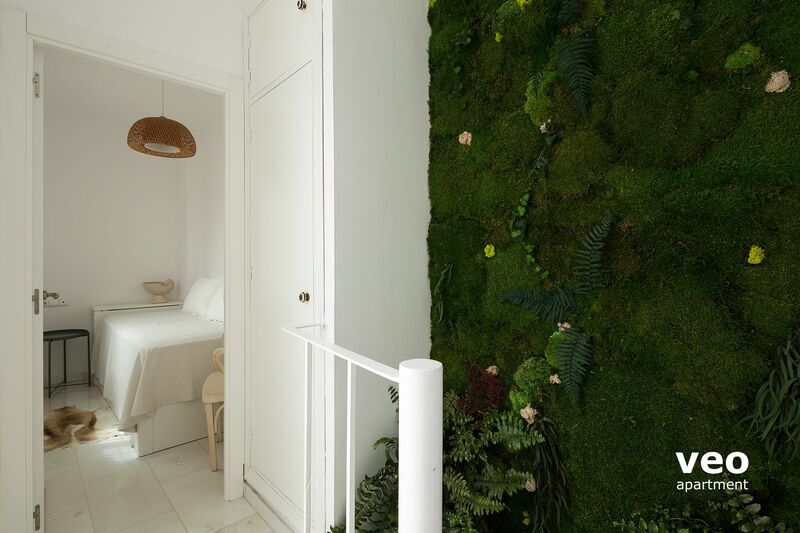 The apartment has 65sqm inside and 35sqm of outdoor space. There are two floors. 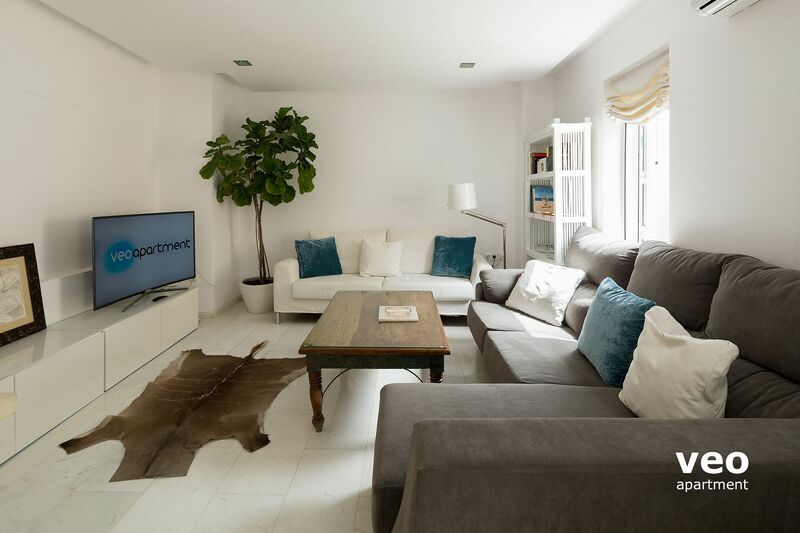 Level 1: The living room features 2 sofas, coffee table and a Smart TV. There is a kitchen island unit for dining with 2 bar stools. The kitchen is well equipped with all main utensils and modern appliances - oven and dishwasher included. The washing machine is in a laundry room in the terrace. 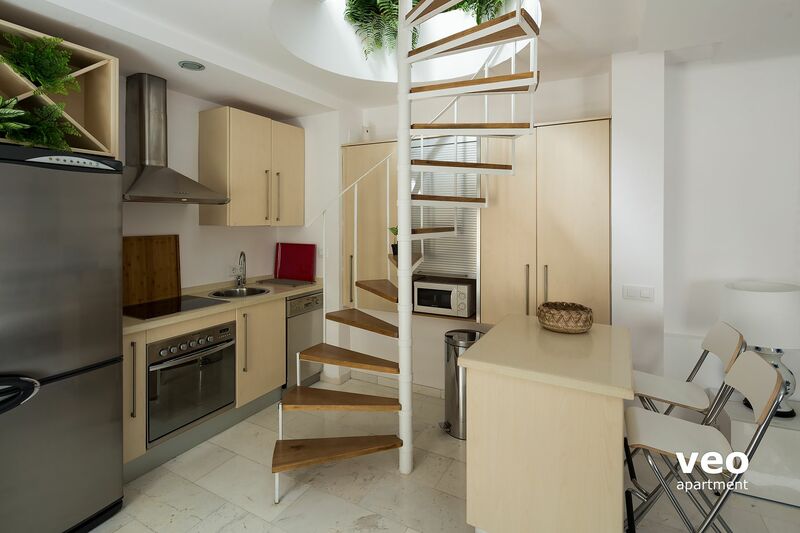 Level 2: Spiral stairs facing a vertical natural garden lead up to the 2 bedrooms, bathroom and terrace. Bedroom 1 has a queen size bed (150x200cm) and a large fitted wardrobe. Bedroom 2 has a single bed (0.90x190cm). 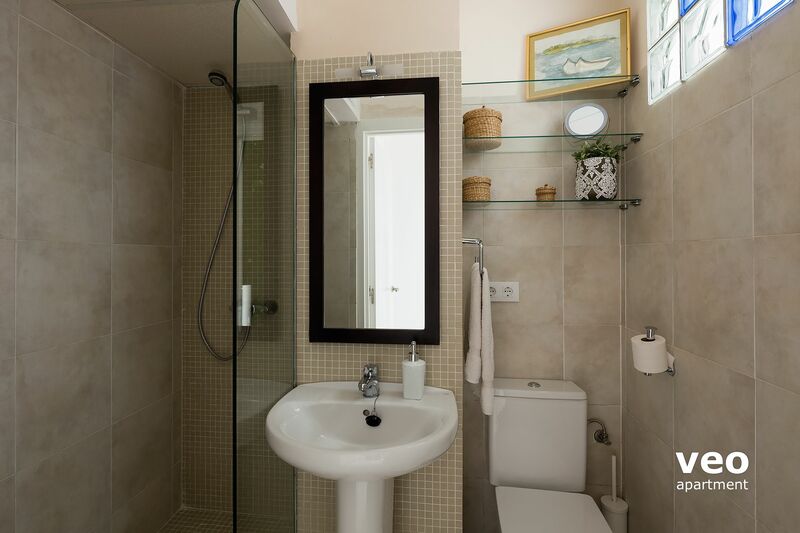 Between both rooms is the bathroom with a walk-in shower. 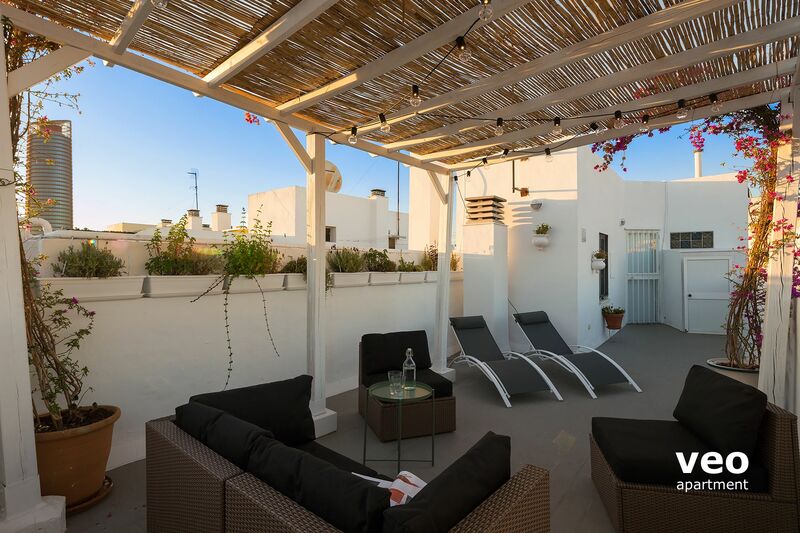 Private terrace (facing south): The terrace of 35sqm has a resting area with an inviting, plant-filled pergola, outdoor seating and 2 deck chairs - making it an ideal spot for sunbathing or just enjoying the view from the terrace. There is a dining table available to eat outside. 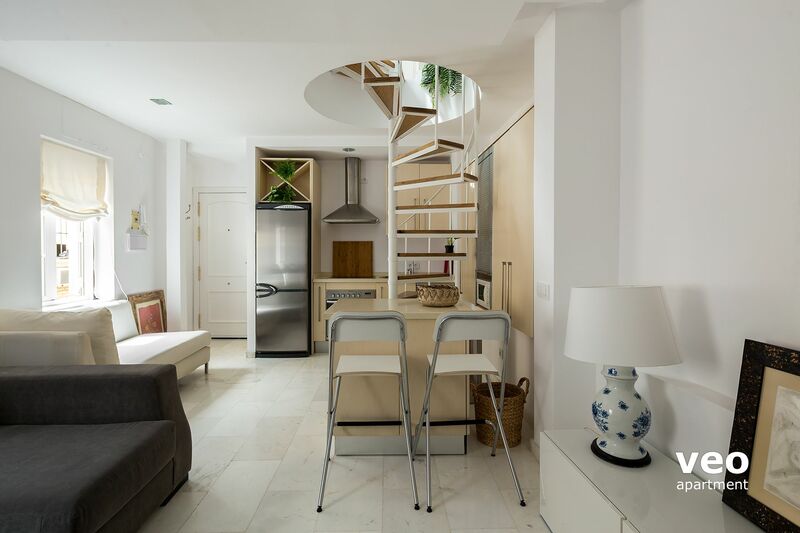 The apartment is located on the 2nd and 3rd floors of a residential building, without elevator. Preis: 15 EUR pro Tag. Reduzierter Tarif im "Mercado de Triana" Parkhaus. Ca. 500 m vom Apartment entfernt. Reservierung per Email notwendig. "Very nice apartment in a good location. 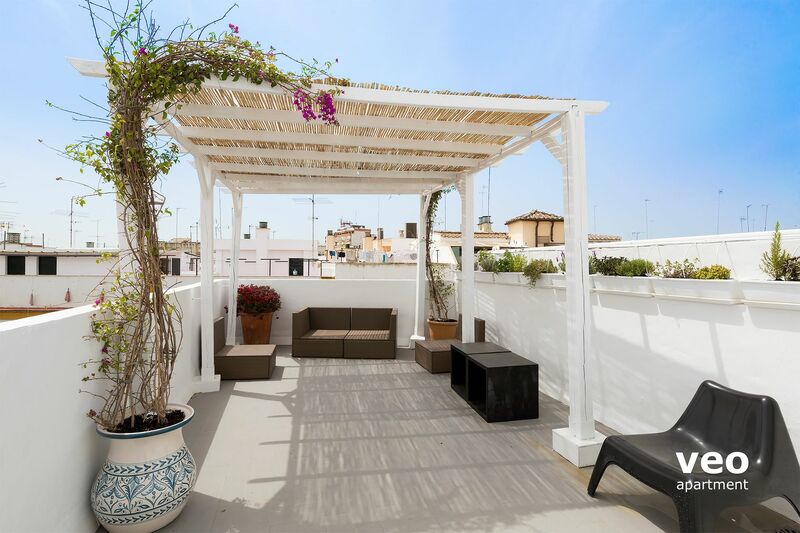 The roof top terrace is the max and the host was very kind!" Great apartment in a good neighbourhood. Roof top terrace is briljant. The hosts are very accommodating and kind! 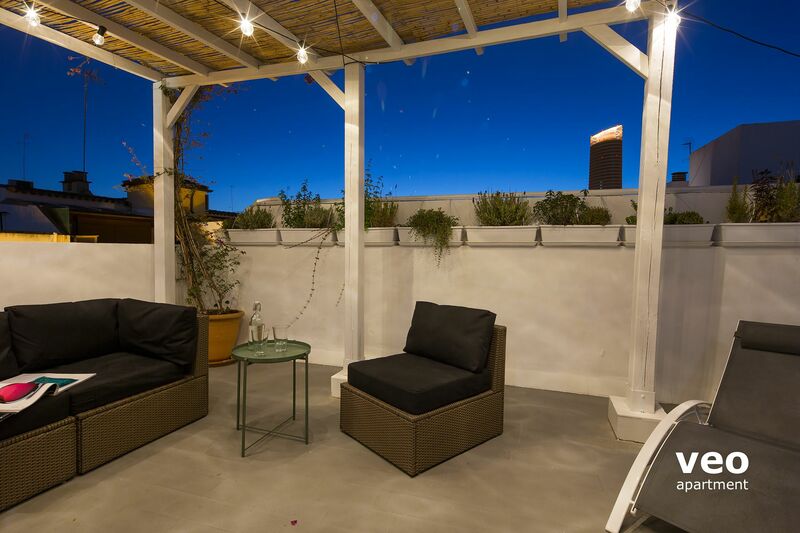 "A quiet, clean, comfortable apartment for two with a terrace to enjoy the balmy evenings." We really enjoyed our stay in this traditional neighbourhood of Triana. The apartment was quiet clean, and nicely presented. . We loved having a private terrace to relax in the evening before going out . Check in was smooth and efficient. We will return. "great neighbourhood, lots of character! apartment is excellent, spacious and has what you need." great neighbourhood, lots of character! apartment is excellent, spacious and has what you need. "A lovely apartment in a quiet neighbourhood over the river." A lovely apartment in a quiet neighbourhood over the river. 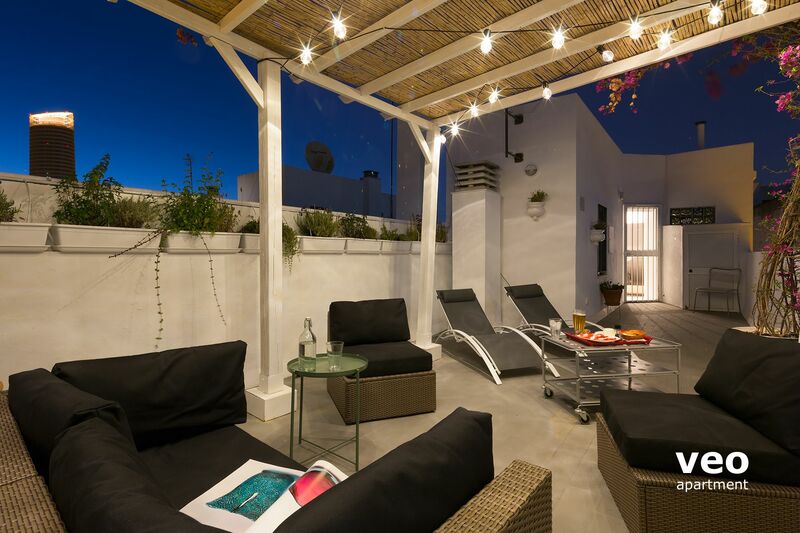 Plenty of space for two and a great roof terrace for the warm evenings. It's an easy walk from the cities main sites and plenty of great restaurants nearby. "The patio was perfect in the morning with your cup of coffee." We loved our stay at this VRBO. The patio was perfect in the morning with your cup of coffee and end it in the evening with a glass of wine. We were there during April Fair and were able to watch the closing fireworks from the patio. Place was clean and owner was very responsive to any question we had. I highly recommend this place. "Très bel appartement avec une terrasse très agréable"
Très bel appartement avec une terrasse très agréable, dans un quartier calme mais pas trop lieu du centre. Accueil sympathique. 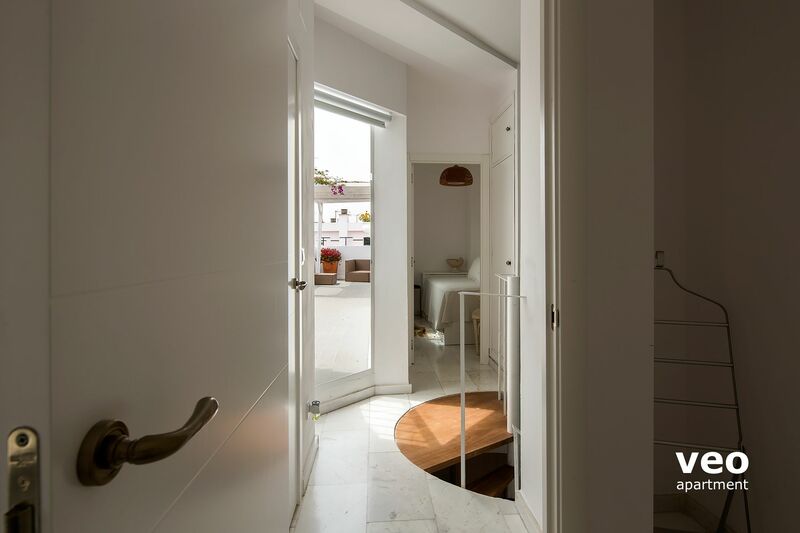 Una estancia muy agradable en el alojamiento de Esther, apartamento ático muy cómodo y los anfitriones muy amables la zona está genial. Recomendable. "Just a 10-minute walk from the city center." Fine apartment in a good neighborhood. Just a 10-minute walk from the city center. Netflix on the big television screen was ideal for some relaxing after a long day of walking in the city. 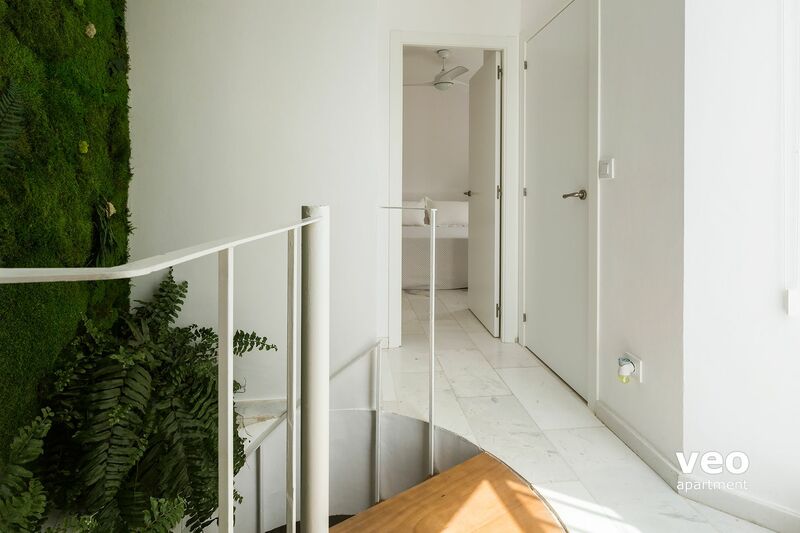 "Apartamento bien situado en el barrio de Triana." Apartamento bien situado en el barrio de Triana. Responde a las imágenes. Lástima no haber podido aprovechar más la terraza. La comunicación fue buena y rápida. Buenas indicaciones a la llegada. Lo recomiendo para vuestra estancia en Sevilla. "Appartement plutôt agréable avec une belle terrasse"
"Muy bien decorada y sobre todo un sitio para descansar en condiciones." 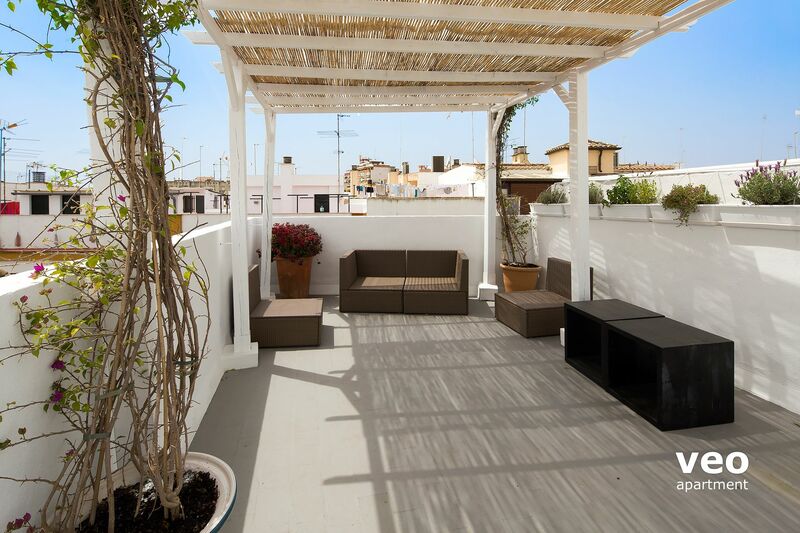 "Great spot in the heart of Triana -rooftop a bonus for soaking up the sun"
"Nice apartment. Had everything we needed." Nice apartment. Had everything we needed. Netflix on the huge TV was a bonus. "Perfect location - was a awesome trip"
Perfect location - was a awesome trip. "We really enjoyed our stay in this flat during our visit to Seville"
We really enjoyed our stay in this flat during our visit to Seville. The neighborhood was very quiet and peaceful with the big day market only a few minutes away and plenty of shops and restaurants in the area. The terrace was nothing short of magical, breathtaking at sunset and lovely for drinking coffee in the morning. The staircase was a bit tight especially for luggage up to the bedroom- one stair seemed to be a bit loose towards the bottom, but overall we really loved our stay here. Great listing! 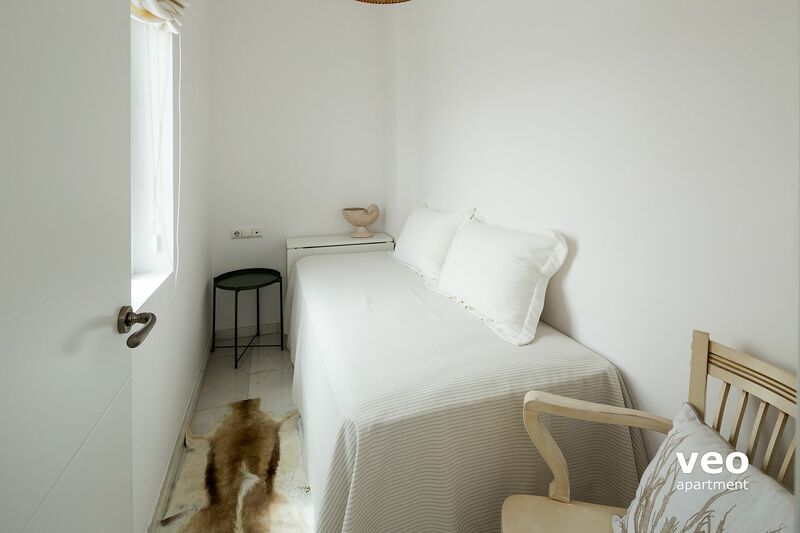 "I adored my stay at Lola's apartment in Triana." I adored my stay at Lola's apartment in Triana. The whole neighborhood is charming--tucked away among quiet, narrow residential streets, it feels much more "local" than the more touristy areas. I loved passing the ceramics workshop just down the street every morning! And Seville's most popular attractions like Real Alcazar are just a pleasant 15 minute walk across the river. 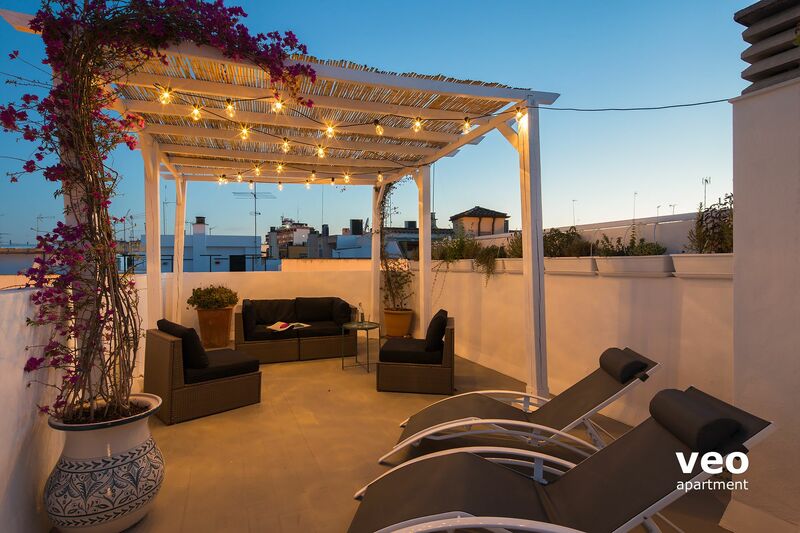 The apartment was spotlessly clean and very comfortable, and you can't beat that rooftop terrace for a place to put your feet up and have a glass of wine in the evening. Lola and her associates were responsive and helpful. If my travels take me back to Seville, I wouldn't hesitate to book with Lola again. 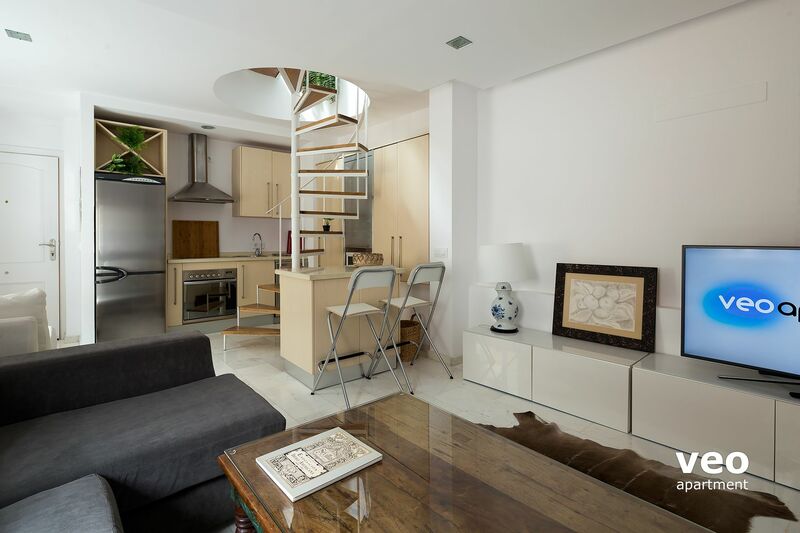 "The apartment is in a great location in Triana"
The apartment is in a great location in Triana - lots of lovely bars and restaurants nearby, and only a short walk across the river to the centre of Seville and all of the main tourist attractions (the Cathedral, the Alcazer etc). 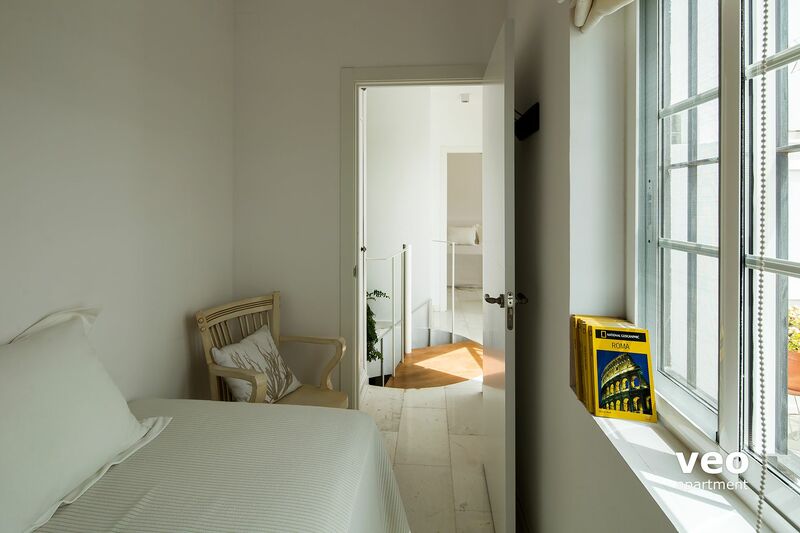 The apartment was spotlessly clean and well equipped with everything we needed for our stay, and although the nearby bars were lively in the evening the flat itself was very quiet at night. The air con works very well which was a must as the daytime temperatures were very high during our stay. Lola was easy to communicate with and very helpful. Her place is an excellent base for exploring this beautiful city. "Nice and relaxing neighbourhood. Appartment everything in place and the terras makes it especially worthwhile!" Nice and relaxing neighbourhood. Appartment everything in place and the terras makes it especially worthwhile! "We want to live here!! We loved this apartment"
or 2). The main part of the city, across the river, is only a few minutes walk away, or bike ride (or bus ride) so Triana is really well placed as a base for exploring this beautiful city. 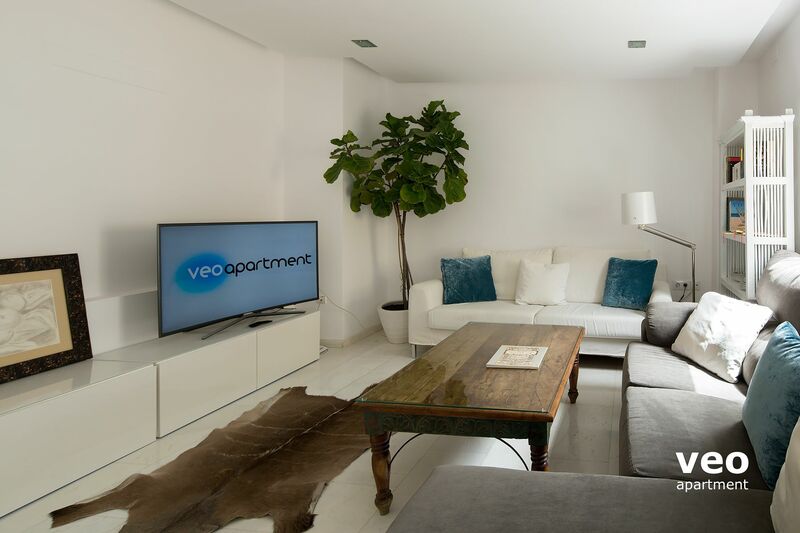 We really enjoyed our far too short stay in Seville  if we come back again we would definitely like to rent this apartment again. "Fantastic apartment, quiet location, air con, everything we needed"
Fantastic apartment, quiet location, air con, everything we needed. We would definitely recommend.. great communication too. Thank you.